YC Coin is the democratized, decentralized, distributed Karma. Created on the Ethereum Blockchain with a Smart Contract. Use a Ethereum wallet to Buy/Sell/Send/Receive YC Coin. Sorry, I know what you are expecting, but this is just a "non-technical single Founder" project created over the (Hurrican Irma) weekend. I began this project just before Irma, and in many ways Irma rushed my launch. I'm not sure if HN will think this is a joke, if I actually built something people want, but I really hope it gets me a YC interview...or maybe donations enough to help me and my family recover from Irma. ​YC Coin is distributed and decentralized "Karma" in the form of a community cryptocoin on the Ethereum Blockchain and can't be controlled by any party, but you can support the project/project creator by purchasing the www.ycco.in domain being used to promote the project. As a bonus to the purchaser of the www.ycco.in we will transfer you 10% of the total issued YC Coins (100,000) for FREE! 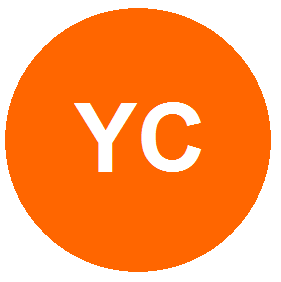 Disclaimer: YC Coin is a community cryptocoin, it is not a security and gives holders no equity, ownership, economic interest, or any other rights than the right to buy/sell/trade/give away the cryptocoin itself. 100% of YC Coins shall initially be issued for FREE per the "Anticipated Coin Distribution" detailed above.